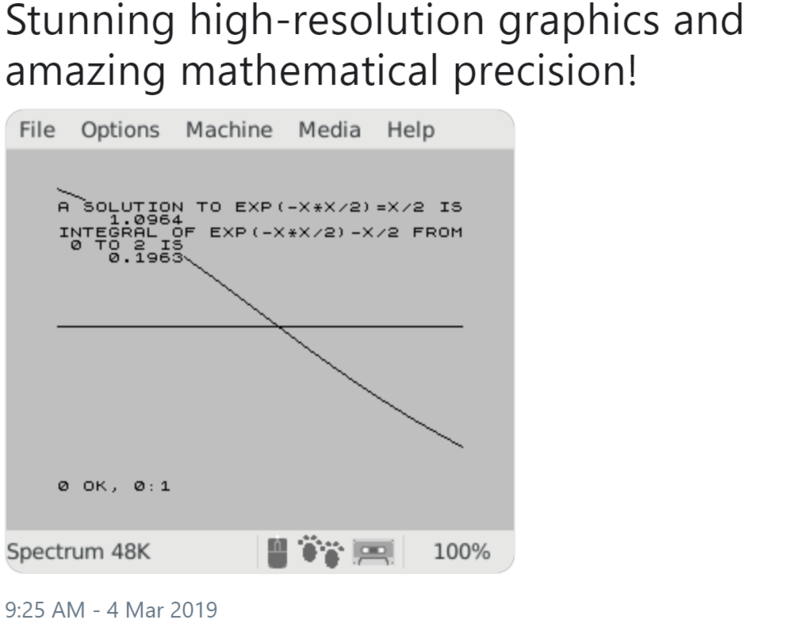 The Numerical Algorithms Group (NAG) are principally known for their numerical library but they also offer products such as a MATLAB toolbox and a Fortran compiler. My employer, The University of Manchester, has a full site license for most of NAG’s stuff where it is heavily used by both our students and researchers. While at a recent software conference, I saw a talk by NAG’s David Sayers where he demonstrated some of the features of the NAG Fortran Compiler. During this talk he showed some examples of broken Fortran and asked us if we could spot how they were broken without compiler assistance. I enjoyed the talk and so asked David if he would mind writing a guest blog post on the subject for WalkingRandomly. He duly obliged. This is a guest blog post by David Sayers of NAG. What do you want from your Fortran compiler? Some people ask for extra (non-standard) features, others require very fast execution speed. The very latest extensions to the Fortran language appeal to those who like to be up to date with their code. I suspect that very few would put enforcement of the Fortran standard at the top of their list, yet this essential if problems are to be avoided in the future. Code written specifically for one compiler is unlikely to work when computers change, or may contain errors that appear only intermittently. Without access to at least one good checking compiler, the developer or support desk will be lacking a valuable tool in the fight against faulty code. The NAG Fortran compiler is such a tool. 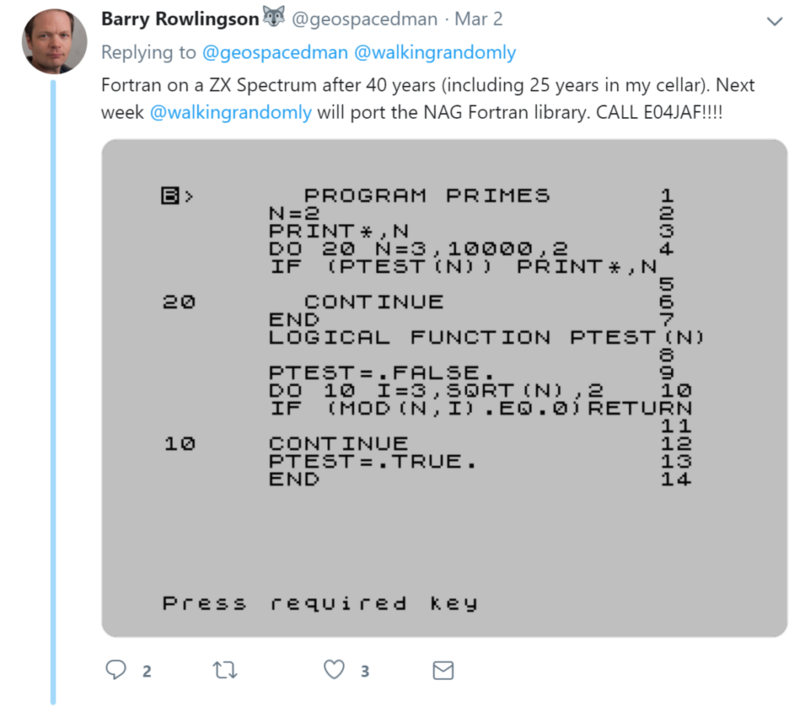 It is used extensively by NAG’s own staff to validate their library code and to answer user-support queries involving user’s Fortran programs. It is available on Windows, where it has its own IDE called Fortran Builder, and on Unix platforms and Mac OS X. Windows users also have the benefit of some Fortran Tools bundled in to the IDE. Particularly nice is the Fortran polisher which tidies up the presentation of your source files according to user-specified preferences. The compiler includes most Fortran 2003 features, very many Fortran 2008 features and the most commonly used features of OpenMP 3.0 are supported. The principal developer of the compiler is Malcolm Cohen, co-author of the book, Modern Fortran Explained along with Michael Metcalf and John Reid. Malcolm has been a member of the international working group on Fortran, ISO/IEC JTC1/SC22/WG5, since 1988, and the USA technical subcommittee on Fortran, J3, since 1994. He has been head of the J3 /DATA subgroup since 1998 and was responsible for the design and development of the object-oriented features in Fortran 2003. Since 2005 he has been Project Editor for the ISO/IEC Fortran standard, which has continued its evolution with the publication of the Fortran 2008 standard in 2010. Of all people Malcolm Cohen should know Fortran and the way the standard should be enforced!
! Routine to evaluate objective function and its 1st derivatives.
! First call to CONFUN. Set all Jacobian elements to zero.
! (the default; see Section 11.2). Answers to this particular New Year quiz will be posted in a future blog post. It is very good at what it does. Well written Fortran code, pushed through the right compiler is screamingly fast. There are millions of lines of legacy code still being used in the wild. If you end up doing research in subjects such as Chemistry, Physics or Engineering then you will almost certainly bump into Fortran code (I did!). A beginner’s course in Fortran has been part of the staple diet in degrees in Physics, Chemistry and various engineering disciplines (among others) for decades. It constantly re-invents itself to include new features. I was taught Fortran 77 (despite it being 1997) but you can now also have your pick of Fortran 90, 95, 2003, and soon 2008. Almost everyone I knew hated that 1997 Fortran course and the reasons for the hatred essentially boiled down to one of two points depending on your past experience. They didn’t have a clue what was going on in the first course and now they were completely lost. The problems given were very dull and could be solved too easily. In Excel! Fortran was then used to pass the course. Fast forward to 2009 and I see that Fortran is still being taught to many undergraduates all over the world as their first ever introduction to programming. Bear in mind that these students are used to being able to get interactive 3D plots from the likes of Mathematica, Maple or MATLAB and can solve complex differential equations simply by typing them into Wolfram Alpha on the web. They can solve problems infinitely more complicated then the ones I was faced with in even my most advanced Fortran courses with just a couple of lines of code. These students study subjects such as physics and chemistry because they are interested in the subject matter and computers are just a way of crunching through numbers (and the algebra for that matter) as far as they are concerned. Despite having access to untold amounts of computational and visualisation power coupled with easy programming languages thanks to languages such as MATLAB and Python, these enthusiastic, young potential programmers get forced to bend their minds around the foibles of Fortran. For many it’s their first ever introduction to programming and they get forced to work with one of the most painful programming languages in existence (in my opinion at least). Looking at a typical one-semester course it seems that by the time they have finished they will be able to produce command line only programs that do things like multiply matrices together (slowly), solve the quadratic equation and find the mean and standard deviation of a list of numbers. Not particularity impressive for an introduction to the power of computation in their subject is it? Fortran syntax is rather unforgiving compared to something like Python and it takes many lines of code to achieve even relatively simple results. Don’t believe me? OK, write a program in pure Fortran that gives a plot of a Sin(n*x) for integer n and x ranging from -2*pi to 2*pi. Now connect that plot up to a slider control which will control the value of n. Done? Ok – now get it working on another operating system (eg if you originally used Windows, get it to work on Mac OS X). Now try the same exercise in Python or Mathematica. This is still a very basic program but it would give a much greater sense of achievement compared to finding the mean of list of numbers and could easily be extended for more able students (Fourier Series perhaps). I believe that many introductory Fortran programming courses end up teaching students that programming means ‘Calculating things the hard way’ when they should be leaving an introductory course with the opposite impression. Learn Fortran – and never use it again. Did you learn Fortran at University? Are you still using it? If you answer yes to both of those questions then there is a high probability that you are still involved in research or that advanced numerical analysis is the mainstay of your job. I know a lot of people in the (non-academic) IT industry – many of them were undergraduates in Physics or Chemistry and so they learned Fortran. They don’t use it anymore. In fact they never used it since completing their 1st semester, 2nd year exam and that includes the computational projects they chose to do as part of their degrees. The fact of the matter is that most undergraduates in subjects such as Physics end up in careers that have nothing to do with their degree subject and so most of them will never use Fortran ever again. The ‘programming concepts’ they learned might be useful if they end up learning Java, Python or something along those lines but that’s about it. Would it not be more sensible to teach a language that can support the computational concepts required in the underlying subject that also has an outside chance of being used outside of academia? There are free Fortran compilers available but in my experience these are not the ones that get used the most for teaching or research and this is because the commercial Fortran compilers tend to be (or at least,they are perceived to be) much better. The problem is that when you are involved with looking after the software portfolio of a large University (and I am) then no one will agree on what ‘the best’ compiler is. (Very) roughly paraphrased, here are some comments I have received from Fortran programmers and teachers over the last four years or so. When you teach Fortran, you MUST use the NAG Fortran compiler since it is the most standards compliant. The site license allows students to have it on their own machines which is useful. When you teach Fortran, you MUST use the Silverfrost compiler because it supports Windows GUI programming via Clearwin. We MUST avoid the Silverfrost compiler for teaching because it is not available on platforms such as Mac and Linux. We MUST avoid the NAG compiler for teaching because although it has a great user interface for Windows, it is command line only for Linux and Mac. This confuses students. If we are going to teach Fortran then we simply MUST use the Intel Fortran Compiler. It’s the best and the fastest. We need the Intel Fortran Compiler for research because it is the only one compatible with Abaqus. A site license for Absoft Fortran is essential. It’s the only one that will compile <insert application here> which is essential for my group’s work. We should only ever use free Fortran compilers – relying on commercial offerings is wrong. I’m only getting started! Choose a compiler, any compiler – I’ll get back to you within the week with an advocate who thinks we should get a site license for it and another who hates it with a passion. 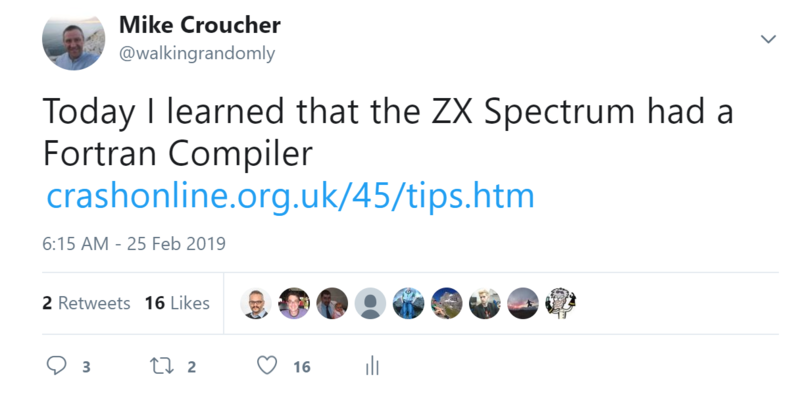 Let’s say you had a blank cheque book and you gave everyone exactly what they wanted – your institution would be spending tens of thousands of pounds on Fortran compilers and you’d still be annoying the free-software advocate. The NAG Compiler – recommended for teaching. We have a truly unlimited site license for NAG (every student can have a copy on their own machine if they wish) which makes it perfect from a licensing point of view and many people like to use it to teach. The Widows version has a nice GUI and help system for example – perfect for beginners. There are Mac and Linux versions too and although these are command-line only, they are better than nothing. The Intel Fortran Compiler licenses we have are in the form of network licenses and we have a very limited number of these – enough to support the research of every (Windows and Linux) Fortran programmer on campus but nowhere near enough for teaching. To get enough for teaching would cost a lot. There are also pockets of usage of various other compilers but nothing on a site-wide basis. Of course, not everyone is happy with this set-up, and I was only recently on the receiving end of a very nasty email from someone because I had to inform him that we didn’t have the money to buy his compiler of choice. It’s not my fault that he couldn’t have it (I don’t have a budget and never have had) but he felt that I was due an ear lashing I guess and blamed all of his entire department’s woes on me personally. Anway, I digress…. The upshot is that Fortran compilers are expensive and no one can agree on which one(s) you should get. 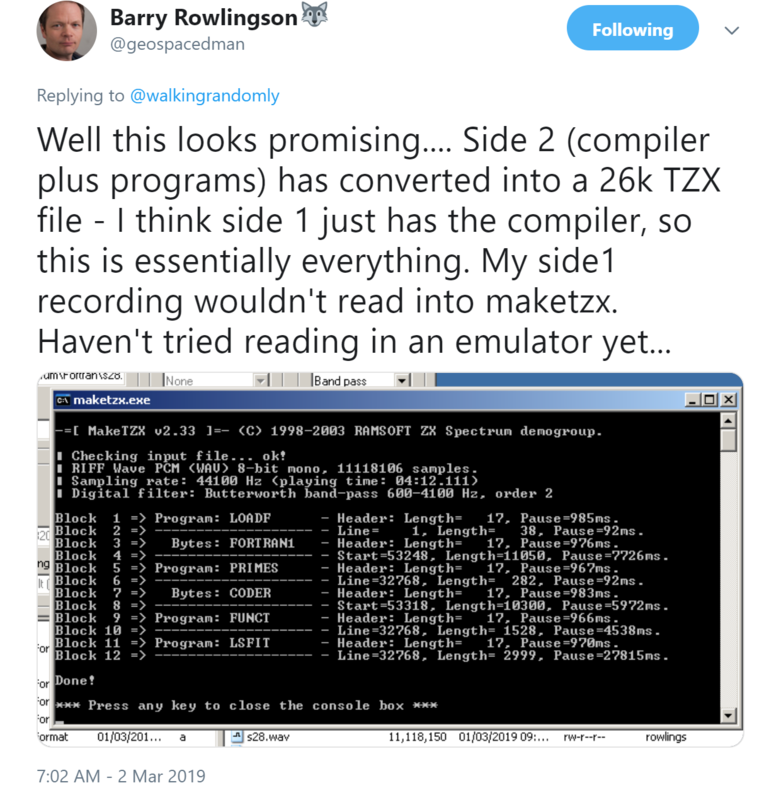 If you get them all to please (almost) everybody then you will be very cash poor and it won’t be long before the C++ guys start knocking on your door to discuss the issue of a commercial C++ compiler or three…. 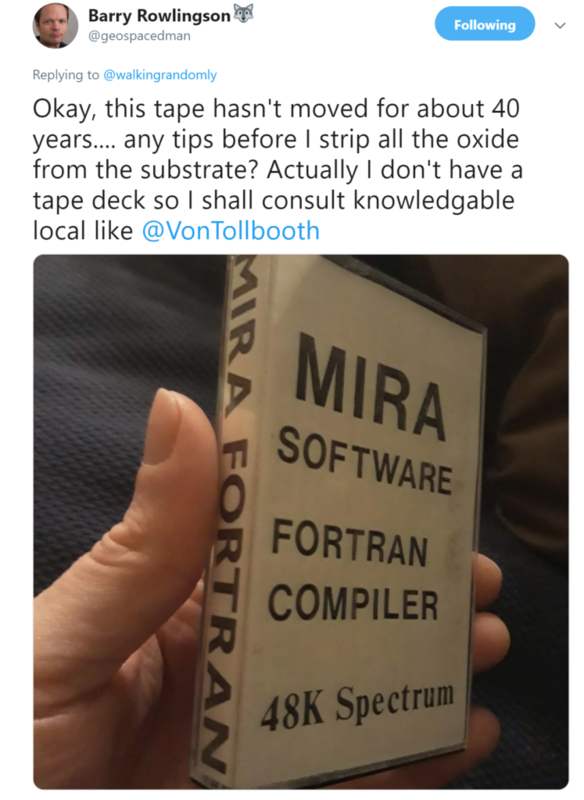 Fortran has been around in one form or another for significantly longer than I have been alive for a very good reason. It’s good at what it does. I know a few High Performance Computing specialists and have been reliably informed that if every second counts in your code execution – if it absolutely, positively, definitely has to run as fast as humanly possible then it is hard to beat Fortran. I take their word for it because they know what they are talking about. Organisations such as the Numerical Algorithm’s Group (NAG) seem to agree with this stance since their core product is a Fortran Library and NAG have a reputation that is hard to ignore. When it comes to numerics – they know their stuff and they work in Fortran so it MUST be a good choice for certain applications. If you find yourself using research-level applications such as Abaqus or Gaussian then you’ll probably end up needing to use Fortran, just as you will if you end up having to modify one of the thousands of legacy applications out there. Fortran is a fact of life for many graduate students. It was a fact of life for me too once and I hated it. I know that it is used a lot at Manchester for research because ,as mentioned earlier, we have network licenses for Intel Fortran and when I am particularly bored I grep the usage logs to see how many unique user names have used it to compile something. There are many. I am not for a second suggesting that Fortran is irrelevant because it so obviously isn’t. It is heavily used in certain, specialist areas. What I am suggesting is that it is not the ideal language to use as a first exposure to programming. All of the good reasons for using Fortran seem to come up at a time in your career when you are a reasonably advanced programmer not when you first come across the concepts loops and arrays. Put bluntly I feel that the correct place for learning Fortran is in grad school and only if it is needed. If not Introductory Fortran then Introductory what? If you have got this far then you can probably guess what I am going to suggest – Python. Python is infinitely more suitable for beginner programmers in my opinion and with even just a smattering of the language it is possible to achieve a great deal. Standard python modules such as matplotlib and numpy help take care of plotting and heavy-duty numerics with ease and there are no licensing problems to speak of . It’s free! You can use it interactively which helps with learning the basics and even a beginner can produce impressive looking results with relatively little effort. Not only is it more fun than Fortran but it is probably a lot more useful for an undergraduate because they might actually use it. Its use in the computational sciences is growing very quickly and it also has a lot of applications in areas such as the web, games and general task automation. If and when a student is ready to move onto graduate level problems then he/she may well find that Python still fulfills their needs but if they really do need raw speed then they can either hook into existing Fortran libraries using Python modules such as ctypes and f2py or they can roll up their sleeves and learn Fortran syntax. Using Fortran to teach raw beginners is a bit like teaching complex numbers to kindergarten children before they can count to ten. Sure, some of them will need complex numbers one day but if it was complex numbers or nothing then a lot of people would really struggle to count. So, I am (finally) done. Do I have it all wrong? Is Fortran so essential that Universities would be short changing students of numerate degrees if they didn’t teach it or are people just teaching what they were taught themselves because that’s the way it has always been done? I am particularly interested in hearing from either students or teachers of Fortran but, as always, comments from everyone are welcome – even if you disagree with me. If you are happy to talk in public then please use the comments section but if you would prefer a private discussion then feel free to email me.